Getti is a mediocre Italian restaurant. I would not say that the food was outstanding nor was it bad. 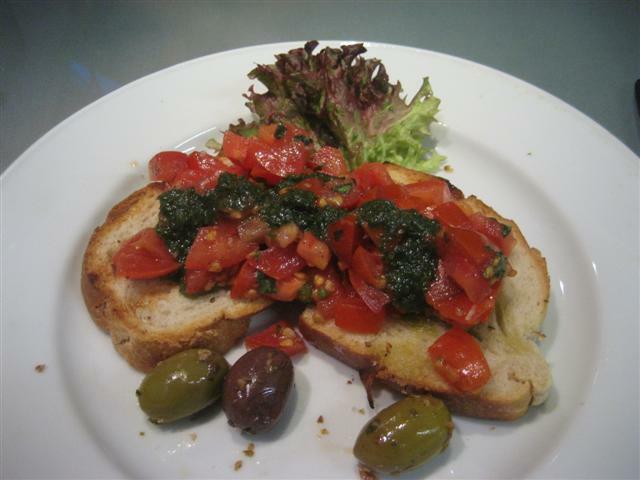 The bruschetta was generously topped with fresh chopped tomatoes, although it had a little too much pesto drizzled on top. The olives that came with this starter were extremely salty; almost to the point where they were inedible. The fillet of salmon was ok. The white wine sauce was not that tasty but it was nice that this dish came with green beans. The side dish of grilled vegetables were the best part of the meal. It was a selection of peppers, artichokes and courgettes. The vegetables came with Carasau bread. I’ve never tried this bread before and I would describe it like being a cracker bread. It was very thin and extremely tasty. Initially, the dining area in Getti looked quite welcoming. It had pale wooden tables and chairs and deep blue walls. 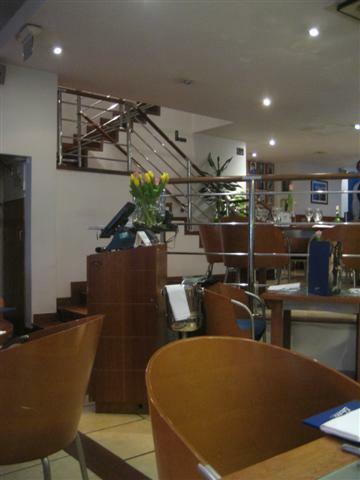 But after we were seated, I realised that the restaurant was fairly cramped with the tables too close to each other. This meant that we had to wait till one waiter was done serving one table, so that another waiter could get to our table. The staff at Getti were friendly and quite helpful with our food queries. We were served our food quite fast. One thing that would improve Getti is if they had more vegetarian options, apart from pasta, on the set menu. 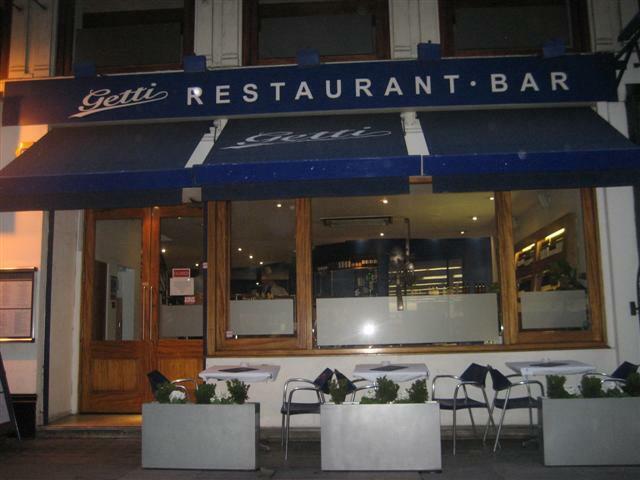 Getti is conveniently located in the West End, but I think that there are better Italian restaurants that you could go to in this area. I went there some time ago and had the worst (!!) grilled sword fish steak ever. Dry beyond believe, I actually send it back once and the new one that came was equally as bad. I really was not convinced either..!